Creativity Unleashed #121 and a Kreg Jig K5 Master System Giveaway!! 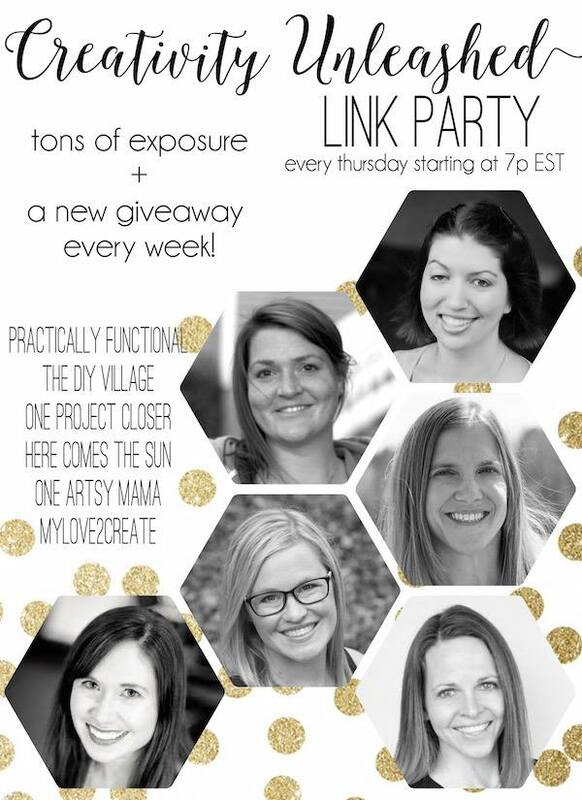 Welcome to the party, and a totally awesome giveaway! 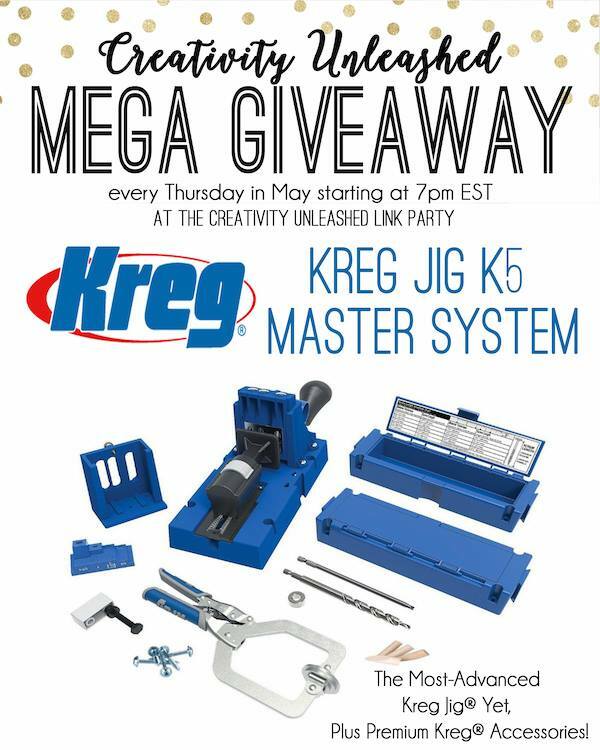 Kreg Tool Company is still sponsoring us this month and this week they are giving away one of my personal faves, the Kreg Tool K5 Master System!! Seriously, I used it all the time! Make sure to enter and tell your friends, you could be drilling pocket holes in no time! Another week of awesome DIY inspiration! 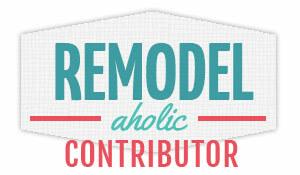 Check out all these cool projects and don't forget to vote for your fave! 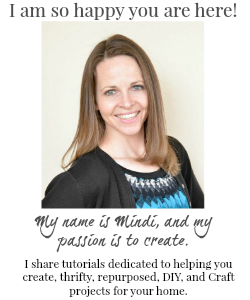 Thanks for the party Mindi! Hope you've gotten a break from the rain, it's been hitting us, so it's probably going to be hitting you guys again. I'd build a workshop table with a new Kreg. Thanks for hosting such a great party! It is filled with so many amazing ideas and great blogs to visit.